We have hundreds and hundreds of SATs at two levels. 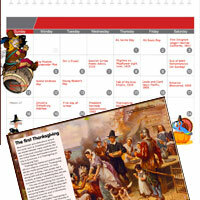 They can be used with other subjects, such as history, too! Click here to see Year 6 English SATs as an example. The top strip of the home screen has weekly free downloadables and links. We provide expert support and and advice to help all your lessons achieve outstanding. Where do I..? What can I use..? etc. Just ask. See the magical world of Curriculum Visions through our current brochure by clicking on the picture. 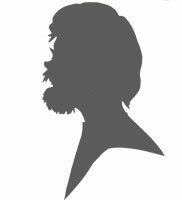 Get a personal view of our platform by clicking on the silhouette. What is the best way to prepare for spelling SATs? Lots of lovely practice. 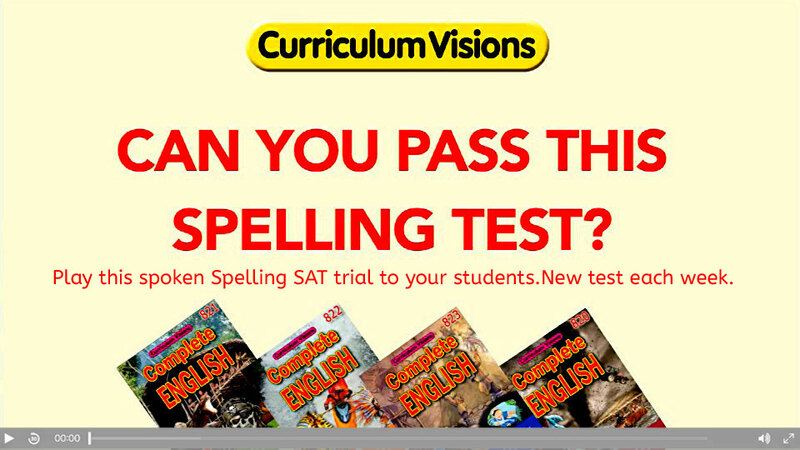 And you can get that here by choosing a new spelling test each week. 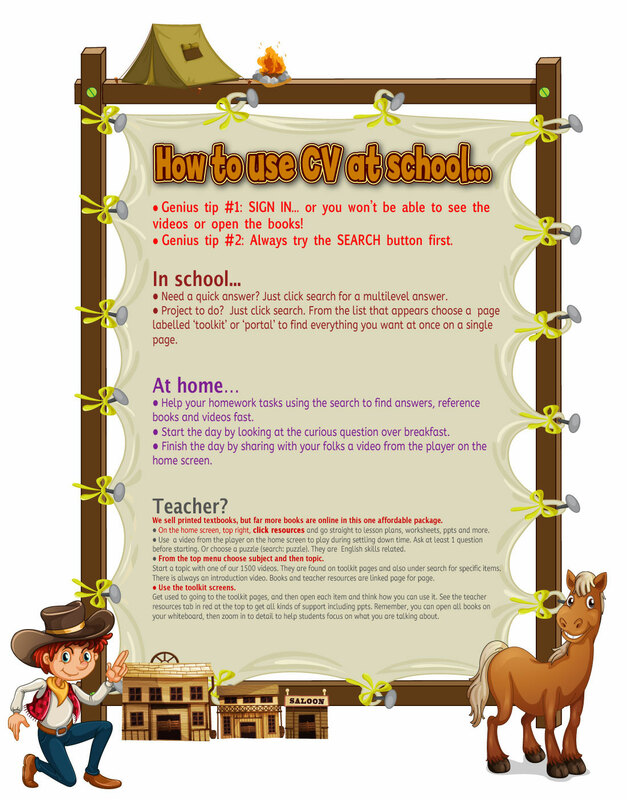 It's free to use, with the additional benefit of a teacher sheet for paid members. 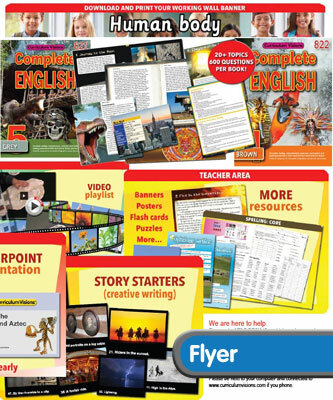 Thousands of lesson plans, display materials, photocopiable worksheets and more. Click here for a history example.... You will not find a more comprehensive page-by-page support for teachers better than this anywhere. The art quality is also superb. Everything is gathered for you onto single screens we call toolkits. There are both student and teacher toolkit screens..
A unique feature to us is our audio-visual investigative studies which are a 'fly-on-the-wall' experience in history and geography topics. ...Students can listen to conversations as though they were in those places or in those times. Not just useful for subjects, but also English hot-seating. There are 10 points of interest on every screen and many screens, giving a wealth of excitement, plus teacher support materials. Whiteboard, classroom assistant or self-learning interactive topics and ppts are available for most subjects. ...The main text is read out and can be used for helping with reading proficiency. I-topics are structured as textbooks and contain videos. This example is from geography. 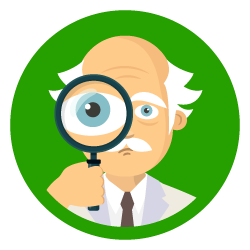 Most topics also have powerpoint presentations to help you to navigate through your lesson. Click the picture to see more.